This week – May 1-6 – is dedicated to YOU in recognition of the critical contributions your small business makes in America. National Small Business Week is a special proclamation issued by the President of the United States, including events happening across the country. But, for the busy Mercer County business owner, the good news is that you don’t have to travel far, as webinars abound! As part of National Small Business Week, our webinar, entitled “This is Your 2016 Business Spring Tune-Up Wakeup Call” happens this Thursday, May 5th from 9 a.m.–10 a.m.
It’s time to SPRING INTO ACTION by taking stock and doing some housecleaning. From operations to sales to finances to marketing, they all deserve a spring renewal. Join our team of experts for a discussion on how you can review and refresh your business to ensure that you are on track to meet your expectations and goals. It’s happening early in your day, so listen while you enjoy your second (or third) cup of coffee! Register online here at no cost to you! In addition to our webinar, we urge you to take advantage of these great educational webinars made possible by the U.S. Small Business Administration. Description: Watch and learn from small business experts, Gene Marks and Ramon Ray, as they discuss the latest trends, tips, and services to help you grow, manage, and increase your profits. You’ll discover how to leverage cloud, mobile, and social technologies that will allow you to stand out from your competition. Description: Cash is the lifeblood of any business yet access to capital, managing business finances, and navigating sources of finance are some of the most challenging areas for business owners and can make or break any enterprise. Sam’s Club has teamed up with Small Business Majority’s Rhea Aguinaldo to help entrepreneurs and small business owners bring finance into focus for long term success. Participants will learn background on the small business loan market and providers as well as how to identify the right type of financial product for the business need. Description: Understanding the fiscal condition of your business is critical when managing daily duties, planning for the longterm and making consequential decisions. But that means more than simply knowing what’s in your bank account. Join Intuit QuickBooks in this interactive webinar, where you’ll learn practical, actionable tips for improving the financial fitness of your small business. 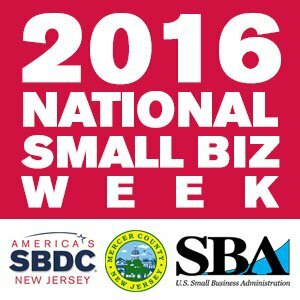 Find out more about National Small Business Week here and use the hashtag #DreamSmallBiz to participate online via social media.